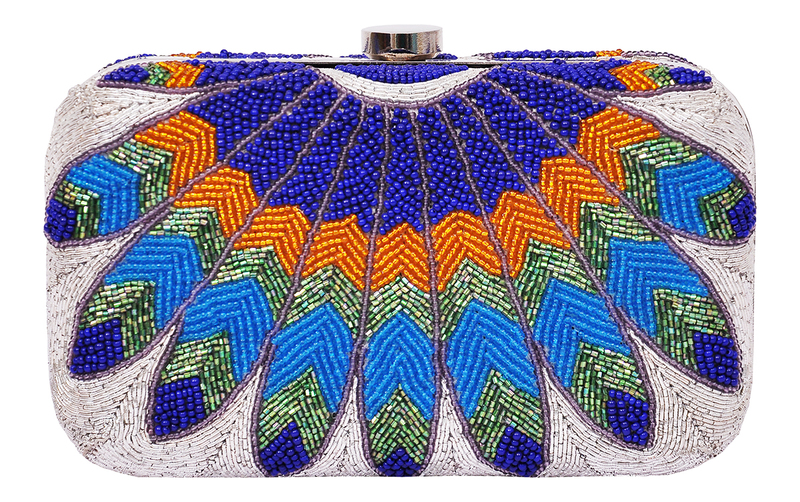 Like a Phoenix rising from the fire, step out with this powerful statement piece Minaudière, handcrafted in stunning orange, blue, purple and green beads on both sides. Optional silver chain. 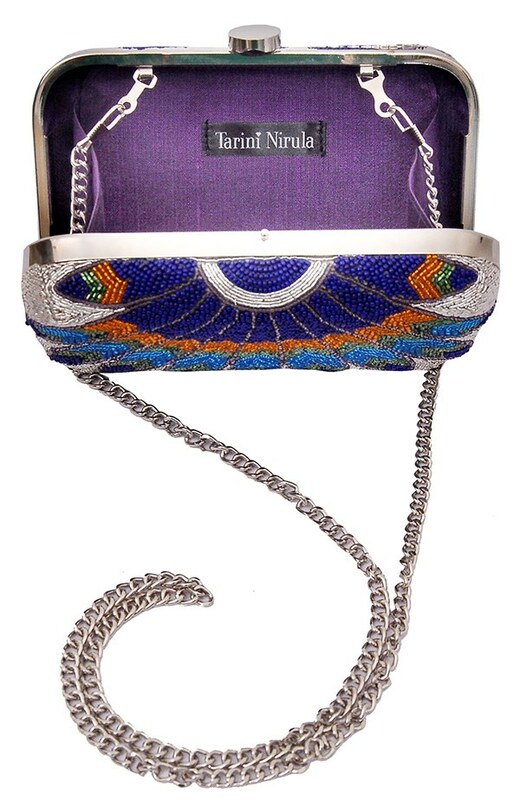 MATERIAL: Blue/Purple/Orange/Green/Silver Glass beads, Zardozi, poly-silk lining (Inner lining is subject to change), silver frame with round/tablet clasp.